We offer patients a comprehensive array of general, restorative and cosmetic dental services designed to meet the needs of the entire family. Our goal is to assist every patient in achieving and maintaining long term dental health and a beautiful smile. There is a reason that Cochecho Dental has been the proud recipient of NH Magazine’s “Top Dentist Award” for the past 7 years. Below is a list of our services. Preventative Care/Cleanings- Preventative care dentistry is the foundation of having good overall health and an attractive smile. Dental cleanings at least once every 6 months prevents bad breath, tooth decay, and gum disease which is the leading cause of tooth loss. Our office uses ultrasonic cleaning technology. Diagnostic Services- Diagnostic services include digital x-rays and periodic and comprehensive examinations. This allows our dentists to diagnose any infections, decay, or abnormalities that may occur. We also utilize a state-of-the-art computer aided surgical planning using 3-D Dental Scan. All x-rays are digital which reduces patient radiation exposure by 80-90%! Sealants- Sealants are non-invasive resin restorations to protect un-restored or newly erupted teeth on both children and adults. 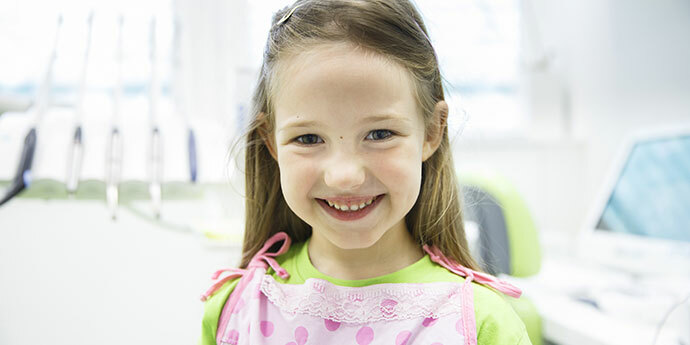 Sealants are a preventative procedure to reduce the risk of dental decay. Cosmetic Dentistry – Correcting imperfections in the appearance of the mouth. Color/shade, alignment, spacing, and shape are all characteristics that provide overall appearance. Fillings – Composite (“tooth colored”) filling material is a more conservative preparation that bonds to your natural tooth. A filling is used to repair a tooth that is affected by decay. The affected portion of the tooth is removed and filled with composite filling material. Whitening – The cosmetic procedure of making teeth whiter by choosing one of our two whitening options: in-office whitening or a take-home kit. Our offices uses Zoom! Whitening which is a revolutionary whitening procedure. Your teeth will be dramatically lighter with most procedures lasting about an hour, or at your convenience in your own home; it’s the perfect option for the busy individual. Invisalign- The modern approach to straightening teeth, using a custom made series of aligners and is virtually invisible. No metal brackets or wires required. The aligners gradually shifts teeth into place, based on the movements Dr. McConathy plans out for each custom case. Crowns and Bridges/Cerec- Utilizes CadCam technology which allows our office to fabricate the crowns and bridges in a single appointment. The crown is fitted on the same day, no additional appointments are required. Crowns are full porcelain, no need to worry about metal allergies. Dental Implants- Offering a permanent solution to missing teeth. The implant replaces the root of the missing tooth providing an anchor for your new tooth or teeth. Dentures- A denture is a removable prosthesis for patients with missing teeth. Our office utilizes a technology to use implants as anchors to provide stability for ill-fitting dentures. TMJ/Neuromuscular Dentistry/Botox- The treatment of painful jaw, TMJ, headaches, muscle aches, clenching, and grinding. There are many treatment options available such as custom-made orthotic devices, Botox injections in masseter muscles, and custom mouth guards. Custom mouth guards also prevent fractured teeth and protect porcelain crowns, implant crowns, and veneers. Root Canal Therapy- Root canal therapy is recommended when the nerve of a tooth is affected by decay or infection. The pulp (living tissue inside the tooth), nerves, bacteria, and any decay are removed and the space is filled with medicated dental materials. Once a root canal is completed, the tooth is restored with a full coverage crown. Periodontal Therapy – Gum disease is the leading cause of tooth loss. Periodontal therapy is the treatment of gum disease with a range of services such as full mouth debridement, scaling and root planing, gingivectomy, crown lengthening, and periodontal maintenance procedures. Veneers- With the cosmetic treatment of veneers, we can change the appearance of a patient’s smile. These thin layers of porcelain veneers are custom made by our dental laboratory technicians which will create the desired shade, and/or contour of the teeth. Extractions – A procedure that involves removing of a tooth (or teeth) that will be replaced with an implant, bridge, or denture. Oral Cancer Screening – Oral cancer screenings using high end technology with Velscope could save your life. Treatment and procedures are much more effective when detected early.